Max's Restaurant lets you tune up your appetite with new Rice Bowl offerings starting at P149 each. They now have a wide selection of menu for their rice bowls that can set your day on the right track. - Made with a combination of shrimp, squid, and fish slow cooked in creamy peanut sauce. - Headlined by deep-fried tofu cubes tossed in a special spicy mayo base and served with a side of fried egg. - Made with breaded cream dory doused in a combination of sweet and tangy sauce. - Which features a symphony of sauteed fresh vegetables, pork, shrimp, and chicken liver and gizzard. Other Filipino favorites are also available like Sizzling Chicken, Beef Caldereta, Adobo Ribs, Crispy Pata, Beef Kare-Kare, Bangus Belly Paksiw, and Fish Fillet in Black Bean Sauce. "We understand our customers when they say that their mood affects the food they want to eat," said Max's Chief Operating Officer, Paolo Serrano. 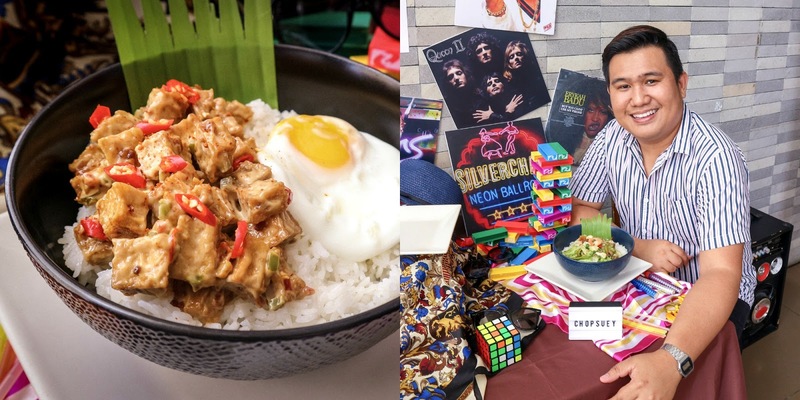 "That's why we want to make sure that whatever mood they are in, they can always come to Max's Restaurant and enjoy a bowl of rice topped with their all-time Pinoy favorites." Diners now have more reasons to celebrate at Max's Restaurant with over ten flavors to choose from. Bring the whole gang and enjoy real food at Max's.